Google featured snippets are an amazing opportunity for marketers to skyrocket above competitors on page one, increase page views, and boost conversions. But what is a Google featured snippet? And does this SERP manipulation really work? Chances are, you have seen a Google featured snippet while searching Google. If you asked a question based query, Google will have eagerly answered it with a snippet. These featured snippets are the answers to users‘ questions, showcased in a box in what’s known as “position zero” on page one. For instance, let’s say you searched for, “How do I optimize my website?” Your question based query will be met with a snippet answering your question. In most cases, these are pulled from page one results, but snippet information can be pulled from page two, three, and maybe even farther down the SERP line. Google Featured Snippets are indeed search friendly, and you will get answers without having to click any pages. Featured snippet formats range from bullet points to numbers, but there are in fact a variety of snippets that Google will deem worthy and display. You may be wondering, Why is this important for my business, products, services, or blog? By obtaining position zero on Google page one, you rank above the #1 organic listing. 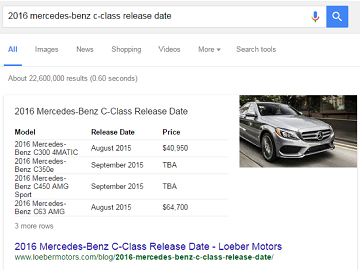 The sheer real estate given to featured snippets is staggering. They essentially dominate the results page, giving you and your brand maximum, above the fold, exposure. And all without dipping into your AdWords budget. What could be better? Probably the most appealing aspect of snippets is that they are indifferent to industry powerhouse brands, and sites that normally dominate SERPs. Any brand, large or small, corporate to boutique, start up to conglomerate, can get a coveted position zero, page one spot. All great things aside, it is essential to understand that getting a Google Featured Snippet can be like hunting for Bigfoot. You may get your content featured one day, but the next, it could simply be back to position three or four. This question is becoming a focal point for many SEOs, marketers, content developers, and CEOs in nearly every industry. The most important aspect behind getting a featured snippet is quality content, formatted in a specific way. You would assume that Google algorithms choose selected snippets based on first page search results. However, this is not always the case. SERP rank may actually have little to do with the decision. Our research on featured snippets discovered that content can be pulled from any page, even as far back as page 80. Taking page two or page three content to produce a snipp-able piece of content defies traditional Google ranking factors. This gives all a shimmer of hope, regardless of your page two ranking, or page eight, or those sites trapped in SERP purgatory. It is all about authoritative content, and the format you choose to make that content snippable. Starting to optimize your content for featured snippets, or reworking previous content to get a snippet, requires a few formatting techniques. We’ll get into more details with each, but draw out your dusty old basic HTML techniques and use them when optimizing pages for featured snippets. Making your steps, numbered and bulleted lists, or paragraphs concise and tight may make it easier for algorithms to determine whether your content is fit for the feature. You want to optimize to the tune of Google’s algorithms, and research has found that word count makes a big difference. “The most common length of content in Featured Snippets is between 40-50 words,” according to an analysis by SEMrush. Searches often type questions into Google, and expect to find exact answers. When creating your editorial calendar, craft content in an FAQ format. Develop entire articles around the questions that people will ask, and answer those questions in your content. Instead of having all of your content in an FAQ page, create a page for each question, and then you can link them all together through an FAQ glossary that links to all the FAQ pages. Craft your Q&A list utilizing a keyword research tool to identify related questions. You can also check keywords at the bottom of any SERP for snippet optimization. The type of snippet format you choose for your content may play a role in how Google’s algorithms choose snipp-able content. For instance, 29 percent of all snippets are tables. A featured snippet “Table” would look like . . . This, however, doesn’t rule out a list or paragraph. In fact, paragraphs and lists seem to be trending as of late for Google featured snippets. Even “Rules” can be applied to snippets . . .
And the standard numbered list . . .
To optimize your content for a Featured Snippet, your search query should be in an h1, h2, h3 header. For question based searches, Google might not pull through an entire paragraph for the snippet. By adding Step 1, Step 2, etc. for each subheading, h2, Google will work them chronologically. Remember, when it comes to snippets, Google likes content that is logically formatted. The below post on diamond girdles is a good example of a Google Featured Snippet that gets superior ranking with a position zero snippet, position one, and above all on page one. Even though the site ranks #1 organically for this keyword, there was a 16% increase in traffic ever since the featured snippet gained rankings. By creating content optimized for the Who, What, When, Where, Why questions and using keywords that appear in Search Suggestions, this website has gained dozens of featured snippets that have increased traffic substantially, month over month. To get off to a powerful start, run an audit of keywords you rank for, and pluck the question based queries. Then, answer those questions using the above tips and tactics. Optimize for position zero and make Google work for you, and your bottom line!